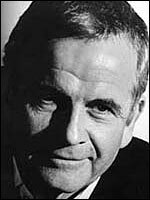 Ian Holm trained at RADA , and was for some years on the London stage before making his screen debut in The Bofors Gun (d. Jack Gold, 1968), for which he won a BAFTA as best supporting actor. This award was also given for Chariots of Fire (d. Hugh Hudson, 1981) in addition to an Oscar nomination for the same performance. Holm has distinguished himself as one of the leading character actors of his generation, with roles as varied as the robot in Alien (UK/US, d. Ridley Scott, 1979), the petty bureaucrat in Brazil (d. Terry Gilliam, 1985), Fluellen in Henry V (d. Kenneth Branagh, 1989) and Polonius in Hamlet (UK/US, d. Franco Zeffirelli, 1990). He gave much admired performances in leading roles as Lewis Carroll in Dreamchild (d. Gavin Millar, 1985) and in The Sweet Hereafter (Canada, d. Atom Egoyan, 1997). He has also done a great deal of superb TV, including The Lost Boys (BBC, 1978), as J.M. Barrie , and a brave King Lear (BBC, tx. 21/3/1998), and he resumed his stage career in 2001, in a revival of Harold Pinter 's The Homecoming, the play that made his name. He was awarded a CBE in 1989 and knighted in 1998. His second wife was Penelope Wilton ; they divorced in 2001.